Learn More about the CNC 600 by clicking on the tabs above. 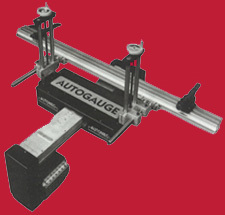 The A compact gauge for press brakes with 12˝ to 42˝ between sideframes. 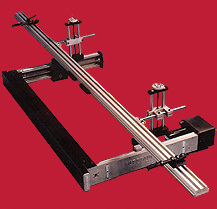 This unit is available with a 3´ gauge bar for light applications. 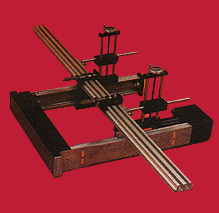 The B is Automec’s most popular model. 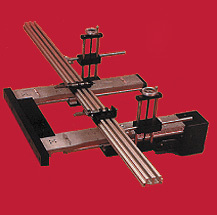 Ideal for pressbrakes with up to 8´6˝ between the sideframes. The P models are required for Amada, Promecam, and other brakes in which the rear bed clearance is less than 7˝. This low-profile backgauge bolts right to the die rail. 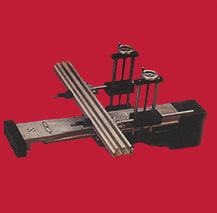 The HD heavy-duty offers more rigidity for larger pressbrakes or when progressive die set-ups are used. The TD has 3 drive screws with the center drive flanked by 2 drives 6´ away on each side. 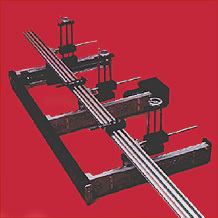 Designed for large bed pressbrakes. 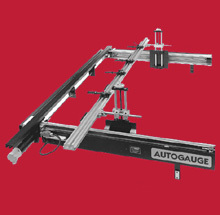 The G48 plate gauge is designed for heavy forming operations offering significant productivity improvments when handling larger, heavier workpieces.